Microsoft today released updates to address more than three dozen security holes in Windows and related software. Meanwhile, Adobe — which normally releases fixes for its ubiquitous Flash Player alongside Microsoft’s monthly Patch Tuesday cycle — said it’s putting off today’s expected Flash patch until the end of this week so it can address an unpatched Flash vulnerability that already is being exploited in active attacks. 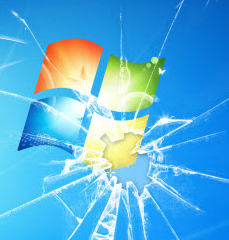 Yes, that’s right it’s once again Patch Tuesday, better known to mere mortals as the second Tuesday of each month. Microsoft isn’t kidding around this particular Tuesday — pushing out 16 patch bundles to address at least 44 security flaws across Windows and related software. The usual suspects earn “critical” ratings: Internet Explorer (IE), Edge (the new, improved IE), and Microsoft Office. Critical is Microsoft’s term for a flaw that allows the attacker to remotely take control over the victim’s machine without help from the victim, save for perhaps getting him to visit a booby-trapped Web site or load a poisoned ad in IE or Edge. Windows home users aren’t the only ones who get to have all the fun: There’s plenty enough in today’s Microsoft patch batch to sow dread in any Windows system administrator, including patches that fix serious security holes in Windows SMB Server, Microsoft’s DNS Server, and Exchange Server. I’ll put up a note later this week whenever Adobe releases the Flash update. For now, Kaspersky has more on the Flash vulnerability and its apparent use in active espionage attacks. As ever, if you experience any issues after applying any of today’s updates, please drop a note about it in the comments below. Other resources: Takes from the SANS Internet Storm Center, Qualys and Shavlik.